This pendant is part of the newest TierraCast line called Dulce Vida, the sweet life. 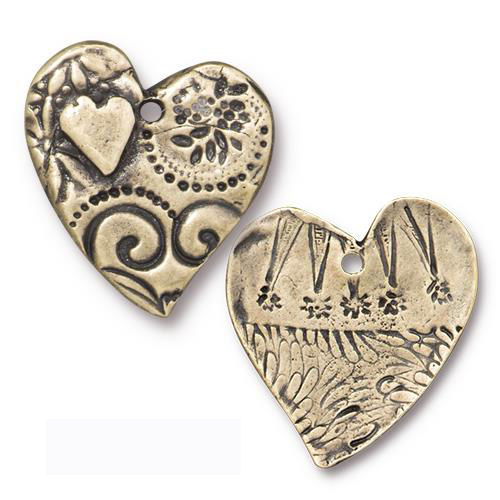 This Reversible Heart Pendant is Brass Oxide Pewter, gold toned. Approximate measurements: 23.5mm long, 22.5mm wide. Per piece.